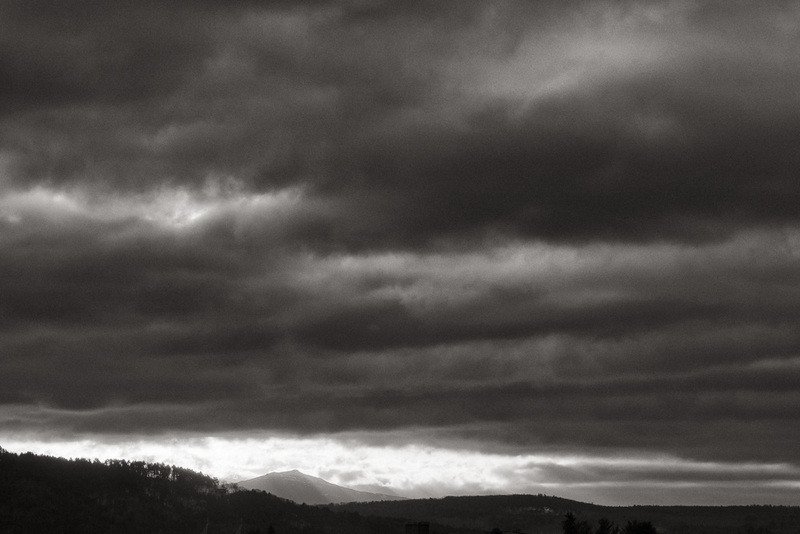 This is the time of year when shortly after I arrive at work, the sun is rising near Mount Monadnock to the East. I take the stairs up to the third floor two at a time, racing to get into position before the sun emerges from behind the mountain and obliterates the view. 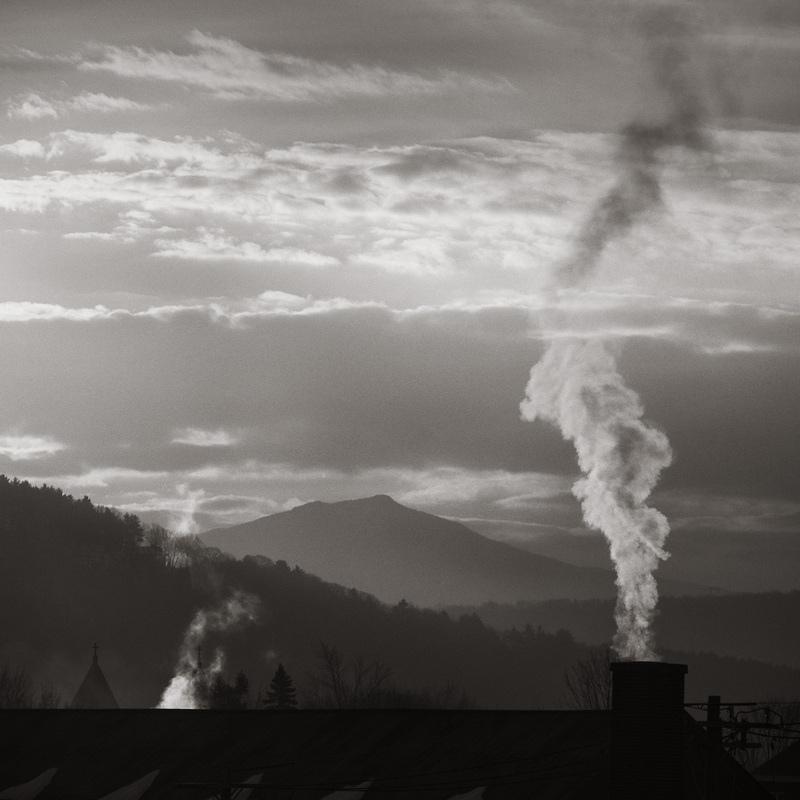 A cloudy sky combined with smoke rising from nearby chimneys within the city of Keene makes for a dramatic black and white image.